When you’re new to driving, there are a lot of things to think about. Teen drivers (and passengers) face a lot of risk on the road. In fact, more than 2,500 teens die in car accidents each year in the United States. However, there are many ways to reduce risk. Here are few statistics and tips from Safe Kids to help teens stay safe while behind the wheel. 1) Buckle up! It sounds elementary, but more than half of teens who were killed in automobile accidents weren’t wearing a seat belt. 2) Don’t drive distracted. Texting while driving means that you’re taking your eyes off the road for 5 seconds. If you’re traveling 55 mph, that’s like driving the length of a football field without looking at the road. 3) Limit the number of passengers. When two or more teens ride with a teen driver, the risk of a fatal accident can double or even triple. 4) Avoid driving at night. The risk of a fatal crash at night is three times higher for teens than for adults. 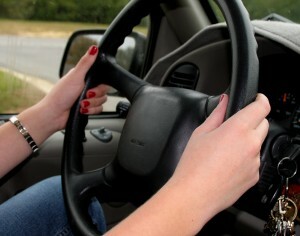 Exercise caution when driving after dark and be sure to get lots of practice behind the wheel before driving at night. 5) Stick to the speed limit. More than a third of teens killed in car crashes were speeding.